I was wondering whether you might be able to help me . I am trying to find out some information regarding the attached photograph. 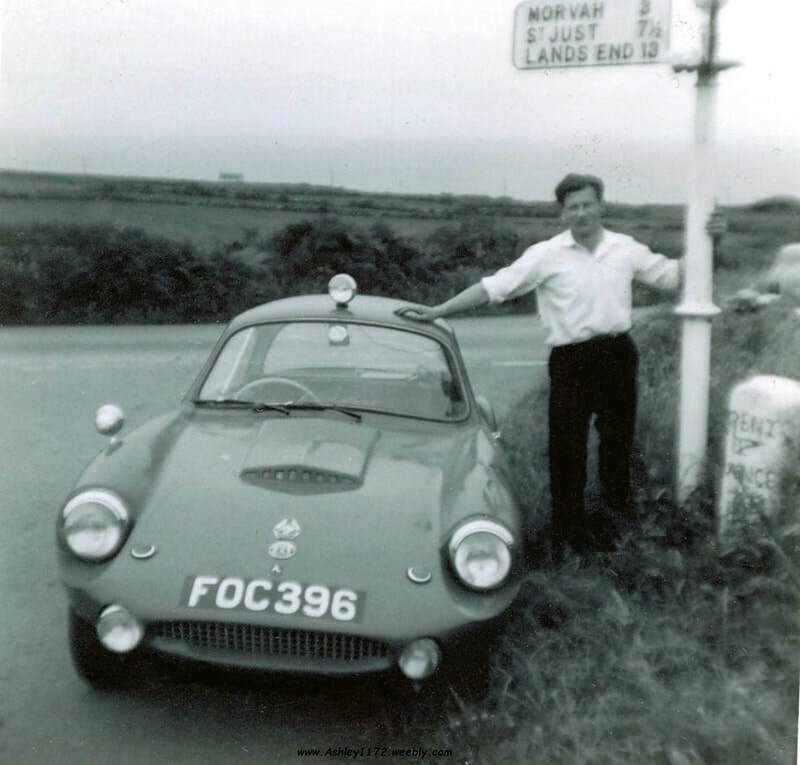 This car was built by my stepfather sometime around the early 1960's, according to my mother it was built on the chassis of a Ford Popular. I was wondering what type of car (bodywork) it was, and if it still survives (although I rather doubt it). My stepfathers name was Raymond John Mitchell and he came from the Dulverton area in Somerset. He sadly passed away in 2000 and this photograph only recently came to light after clearing out the loft in mother's house. 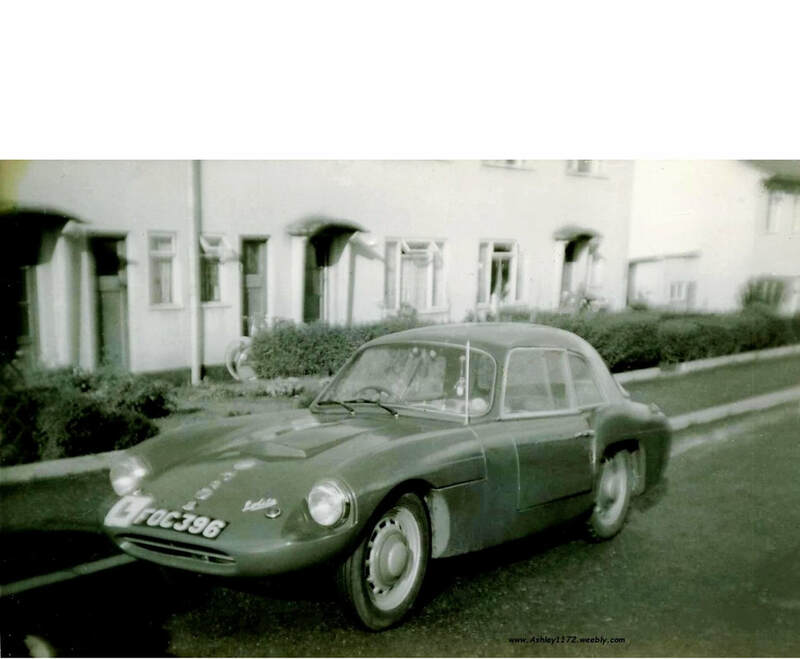 I explained that the car/bodyshell was an Ashley 1172 with a detachable hardtop, that these were produced from 1958 to 1961 and the donor car was normally a Ford Anglia or Popular, the registration for his stepfathers Ashley comes from an April 1939 registered car at the Birmingham C.B.C. It does not show in the DVLA records, which normally indicates that it was not entered in their digital system during the mid 1970's when they changed all the systems and unless it's been rebuilt since and registered with an age related registration it is probably not around today, having said that it could well be sitting in someone's garage/barn waiting to be found and this does still happen. My mother tells me she first met my late stepfather in July/August 1959 (they were both with different partners at that time) and he had just started to build the Ashley. It was completed by May of 1960. My late stepfather had to sell the car in late 1964/early 1965 because his wife was expecting twins at the time so the car was sold in order for him to get a more suitable family saloon car (which turned out to be Ford Cortina Mk1 Saloon - Registration No. 123 VYD ). Sadly though my mother doesn't know who he sold the car to or what became of it afterwards. ​The badges that were on the front on the earlier photograph my mother believes are : Taunton Motoring Club (top one), Royal Automobile Association (2nd one), she believes that the others included an Ashley Owners Club & a Kit Car Association Owners Club (although she is not 100% certain of this).